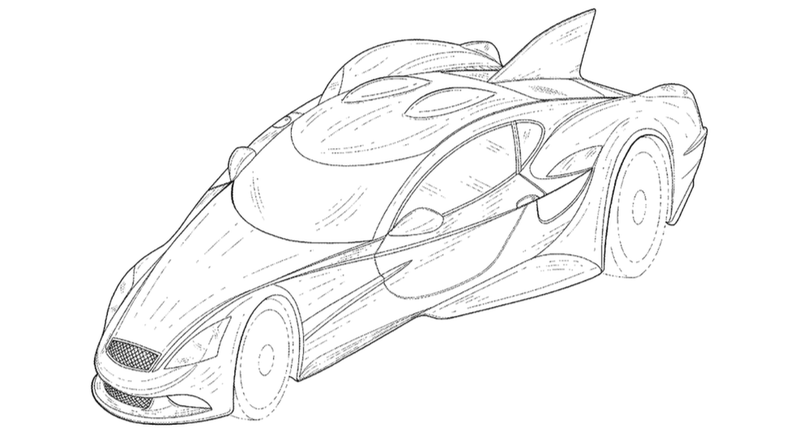 Don Panoz is absolutely serious about bringing a road-going version of the DeltaWing to market, and these patent drawings give us our first glimpse of what the four-seater freak will look like when it comes out later this year. DeltaWing Technologies is planning two variants of its pointy, mid-engine testament to function over form: a two-seater for racing and a four-passenger family car. This patent, simply titled "Street car", gives us a rough view of how DeltaWing will be adapt for the road, with what appears to be legal lighting and cut-outs in the roof to accommodate full-sized humans to enter and exit. Still, it looks like it'll be a tight fit for four. After the race car debuts and races at the end of the 2015 United SportsCar season, the chassis will undergo certification, and while the road-worthy drivetrain hasn't been revealed, there's a good chance that the DeltaWing will have an electric option when/if it comes to market. UPDATE: Corrected images included. Thanks Colin!